In the past we’ve spoken about how VR can have application in various businesses from architecture, education, games, healthcare etc. In this blog we’ll explore various other different businesses and how VR can change those businesses. Architecture has long used 3D visualisations to design and visualise architectural designs. Used within VR, architectural visualisations can communicate designs to potential clients by immersing themselves within the architecture itself. Pocket Sized Hands has previously worked on Driving Vision, Driving Vision is a VR visualization tool that allows Architects and City Planners to present design options through an immersive and communicative experience. VR can be used to design collaboratively in real time via a networked connection with a shared concept being designed by multiple people in a 3D space. The engineering sector requires individuals to be trained heavily which is both a timely and costly process. Engineering training programmes cost millions and require engineers to be onsite. Within VR, engineers can train within 3D environments to learn processes and techniques in a realistic way which can be repeated at a severely reduced cost. Onsite, VR can provide info through augmented reality headsets, displaying graphs, figures, instruction and other data to engineers to give them hands-free info without needing to have any material. VR can also have a big impact on education, with VR being able to present experiences that can better engage and immerse as well as allowing users to explore subjects freely in VR. By creating more engaging experiences based on subject matter, it allows players to learn in a much more enjoyable way, meaning they are more engaged with the learning aspect of the experience. Presenting an immersive experience to a student allows them to fully explore an environment or experience, meaning that they are a lot more involved. Gamifying lessons in VR also makes student more likely to engage with learning content. VR Games are a sector that is increasingly growing in demand as more consumers can purchase their own headsets. VR games allow for a completely different experience in comparison to traditional video games. VR games are immersive and physical experiences that can only be playable within virtual reality. Many existing game companies are now looking at developing VR games to capitalise on an increasingly growing market. Pocket Sized Hands have themselves been developing games for nearly two years with the VR arcade shooter Flintlock Boom currently in development. There are various applications for VR within the healthcare sector such as exposure therapy for those suffering from phobias. Exposure therapy allows users to experience their phobias in an environment without any danger of the phobia truly harming them. Training through VR is another benefit of VR with medical personnel being able to be educated on how to execute procedures and get to grips with different techniques. Pain management is another use of VR with patients suffering from chronic pain able to ease their pain by immersing themselves in VR experiences. Empathy training for medical students allows healthcare specialists and medical personnel to experience what it’s like to be one of their patients. Marketing in VR can provide eye catching advertisements to better capture consumers attention. Using 360 video to explore a space or event is a simple but engaging way to advertise your services by having the user freely explore the VR world around them. VR experiences can also immerse your player to explore one of your products, this is something used by many car manfucaters to allow customers to explore new car designs. VR has it’s place in sports with broadcasters offering services in which users can experience their favourite sports within virtual reality. We’ve spoken previously about VR’s appearance at the world cup with every game being viewable within virtual reality. VR at the World Cup allowed users to experience the world cup from the side-line and see the games from a perspective they could never get in traditional sports broadcasting. VR sports viewing allows for users to experience sports in a unique and immersive way. Arcades in the past have been hardware based, this is no different with VR arcades. Due to VR headsets being being fairly pricey for some consumers, VR arcades are a growing trend. VR arcades offers the public the ability to play VR games at a lower price. VR headsets are preloaded with various games with the player paying for a certain amount of time with a device. For some businesses, VR arcades have been incredibly profitable. VR can disrupt business worldwide, transforming how businesses train, market, sell their products with the products themselves also being changing with the adoption of VR. 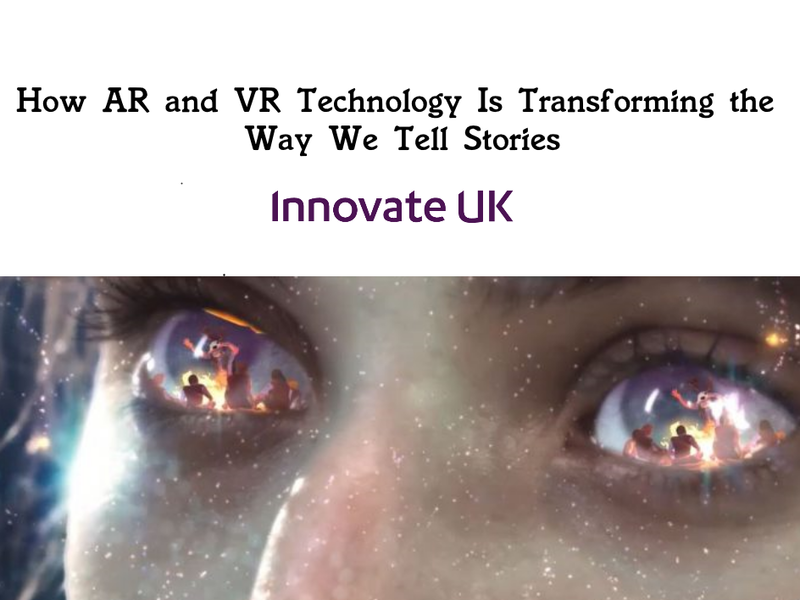 Pocket Sized Hands have worked with businesses in the past to create bespoke VR applications to match theirs needs as well as their customers.